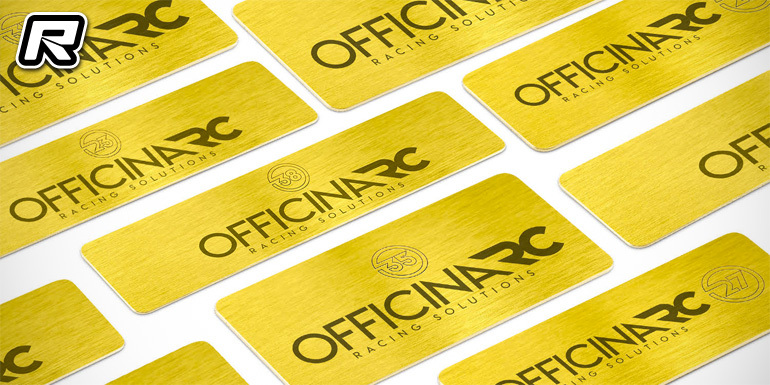 OfficinaRC have added 4 new battery plates to their already existing line up. Designed to give a wide range of possible balancing options, they can be used for all categories, both onroad and offroad, thanks to the diverse range of available weights and sizes. The 23g 130mmx34.5mmx0.6mm is designed to be used with a standard measurement battery and can be applied using double-sided tape on the battery or directly on the chassis. The 27g 92mmx34.5mmmx1mm is dedicated to those who want to use shorty batteries on touring, its size allowing you to balance the model using only the supporting surface of the chassis. The 35g (OFC-007) 92mmx46mmx1 has been designed for anyone who needs to add weight to shorty batteries. Particularly suitable for those who use LCG batteries and need weight positioned at the bottom. Excellent for offroad and formula but also suitable for those who want to use these type of batteries in touring. Finally, the 38g (OFC-008) 131mmx34.5mmx1mm is designed to be used with a standard sized battery and can also be applied using double-sided tape on the battery or directly on the chassis.